As a rising star in Banff’s freeskiing scene, you’d be right to guess that 16-year-old Nikolas Worobey has been on the snow from a young age. But he admits that his passion took some time to develop. “My first time on skis was when I was three. I’ll be honest… I remember hating it!” Nikolas says. Luckily, this first impression didn’t last forever. When Nikolas’ family moved from Edmonton to Banff and introduced him to downhill skiing, his appreciation for the sport began to grow. At age 10, Nikolas joined his first ski team, Sunshine’s Mountain Freeriders Program. “I had a ton of fun in the park. I remember doing my first 360 – I was pretty ecstatic when I landed it. It took at least 60 attempts. But when I finally did, it was a feeling like no other,” he says. 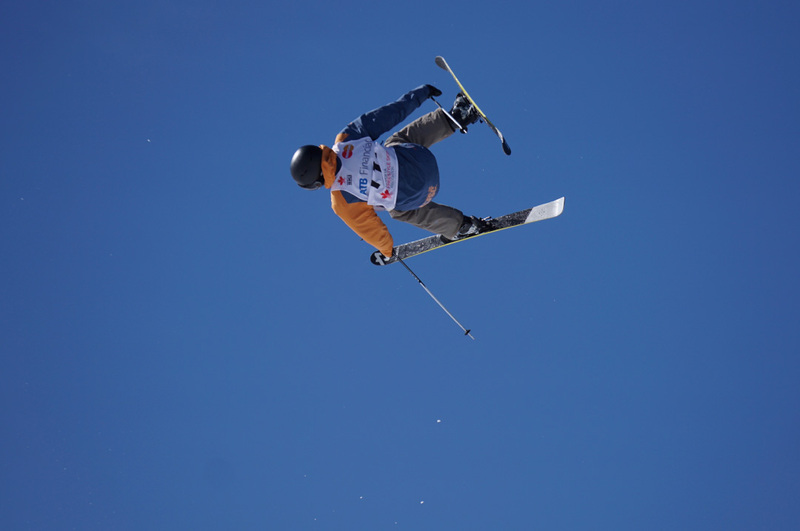 In 2012, Nikolas joined the Lake Louise Big Mountain Team and had his first taste of freestyle competition skiing. Big mountain skiing requires athletes to navigate natural terrain such as trees, cliffs, chutes and drops, with a focus on creativity and style. “It’s about mimicking your park skills on big mountain terrain,” Nikolas says. During the 2015-16 season, after dislocating his shoulder three times across three consecutive seasons, Nikolas underwent surgery. To recover, he had no choice but to miss an entire winter of competition time – but he refused to let this hold him back. “While I was recovering, I visualized all these tricks I wanted to accomplish. It’s essential to visualize in your head how you’re going to move your body, so you can transfer that to when you’re on your skis. Once I got back on the snow, I was able to do these tricks fairly quickly, which was fantastic,” he says. Tricks are judged against a number of factors, such as amplitude (how high you go), degree of difficulty (number of spins, inversions, angles, etc. ), types of grabs (grabbing your skis to make tricks more unique), trick combinations, and the flow of your run (quality of tricks and style in between jumps). Learning new tricks allowed Nikolas to qualify for some high-level competitions in 2016/17. In March 2017, he represented the Southern Alberta Freestyle Ski Club at the Alberta Freestyle Championships in Calgary, placing 2nd in U16 and 3rd overall (slopestyle); 14th U16 and 34th overall (halfpipe); 21st U16 and 47th overall (moguls). In April 2017, he competed in slopestyle, halfpipe and big air at the Canadian Junior Freestyle National Championships in Whistler, B.C. While competing, he landed a Double Cork 720 – a personal highlight. This season, Nikolas will compete in a number of competitions, including three or four Canadian Open Tours (COTs). 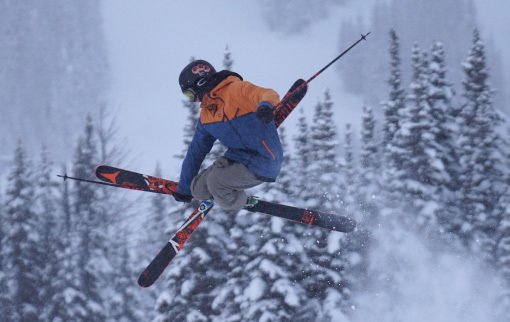 For his Calgary-based Winsport Team, the first competition of the season will be a 10-day trip to the Whitehorse Slopestyle Canada Cup freestyle ski competition, held in late November 2017. When asked about his wildest dreams for the sport, Nikolas names competing in the Olympic Games as one of his greatest ambitions. But big dreams mean big commitments – and that’s why Banff Lodging Co. supports young Bow Valley athletes like Nikolas. As a member of the company’s Pauw Foundation Youth Sport Fund Athlete Squad, Nikolas receives financial assistance for his travel expenses to pursue his passion. “With all of the extra travel on top of the training programs, this can be an expensive sport. I’m grateful for this support so I can keep doing what I love,” Nikolas says. On a typical weekend this season, you’ll find Nikolas training with his Winsport Team at Canada Olympic Park in Calgary. When he isn’t skiing or training, he’s usually watching ski movies or creating video edits with footage captured throughout each ski season.